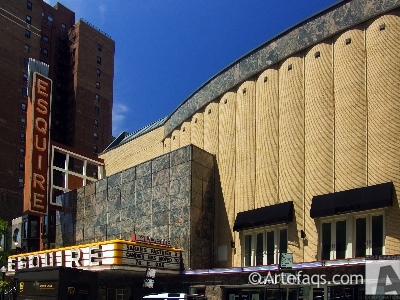 There may finally be some movement at the Esquire Theater on Oak Street. It’s been five years since the multiplex shut down, leaving the city’s most posh shopping district with a giant vacancy. This week city council’s Plan Commission approved a plan which would replace the theater with three brownstone-scale retail buildings like the others lining Oak Street. The facade has landmark status, so it will be fun to see how the architect manages to blend the old and the new here. The buildings can be no taller than three stories, or 60 feet each, and no hotels are allowed. That’s a big concession to local NIMBY groups who blocked plans for a boutique hotel in this location fearing additional traffic and noise. The current proposal still requires additional approvals before we see anything happen, but there were men in hard hats touring the inside of the building just yesterday, so things look good. For those of you worried about what happens to your neighborhood Citibank branch, that’s moving into the new Barney’s New York building. It will be on the corner of State and Oak where Papa Milano’s used to be.